Dreaming of a perfect holiday in Kefalonia? This is the right place. Just organize your holidays with Greeka. We can organize your entire tailor-made holiday in Kefalonia for the best prices and propose you several travel solutions! 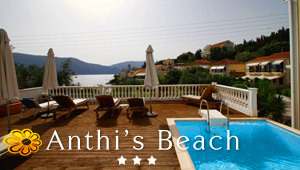 We can organize a holiday trip to Kefalonia for individuals, families and groups, the way you want it when you want it!